Trinity Church Restoration | John Canning & Co.
#2 on PBS series 10 Buildings that Changed America, HH Richardson’s church established a new American architecture style, Richardsonian Romanesque. 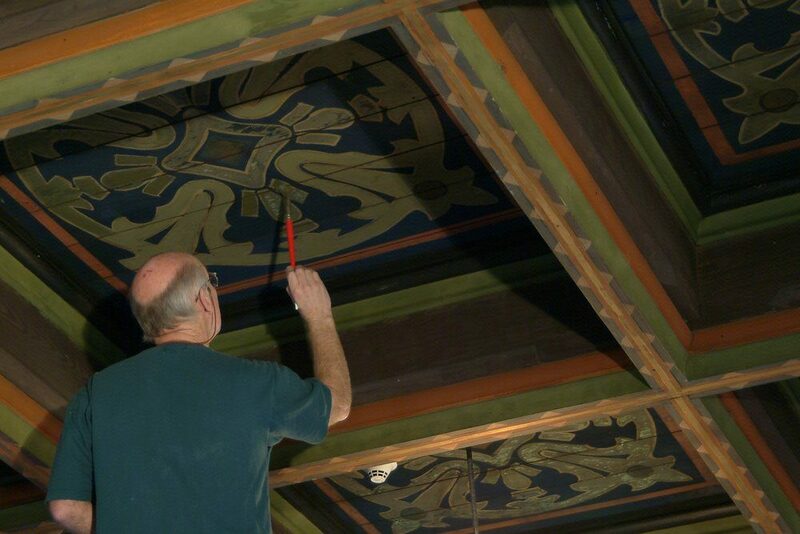 The historic restoration of the architectural art interior required a combination of decorative painting techniques and conservation of John La Farge's encaustic historic murals that fully embrace every surface. Reverential attention to detail was given to the conservation, preservation, and historic restoration of the John La Farge designed interior of HH Richardson’s 1877 National Historic Landmark. 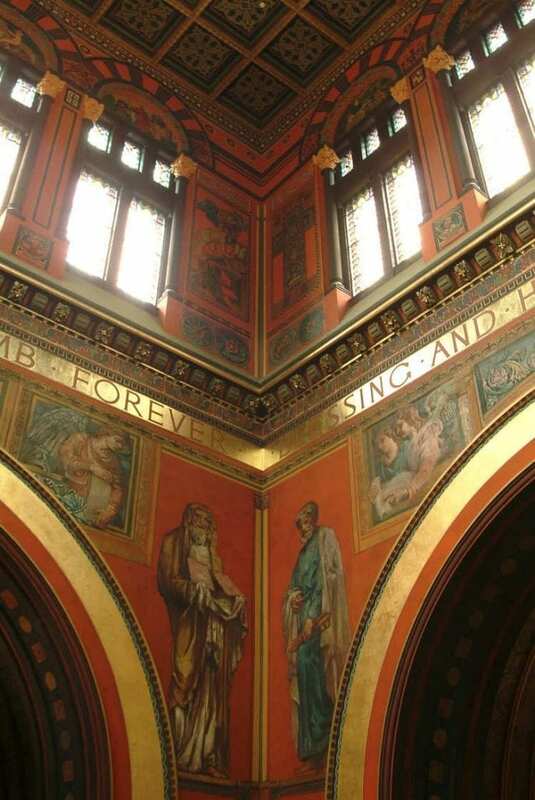 John Canning Co. provided design assist services, including finish investigations and consultation for the fine and decorative artwork in the Trinity Church’s Central Tower, featuring original artwork designed and executed by John La Farge. La Farge employed additional talented artists for this decoration masterpiece including Maynard, Lathrop, Saint-Gaudens, Millet, Champney, Clark, and Daniel Cottier. The building was designed by H.H. Richardson, who interpreted the Romanesque Revival style in such a distinctive way, it soon became known as Richardsonian Romanesque.